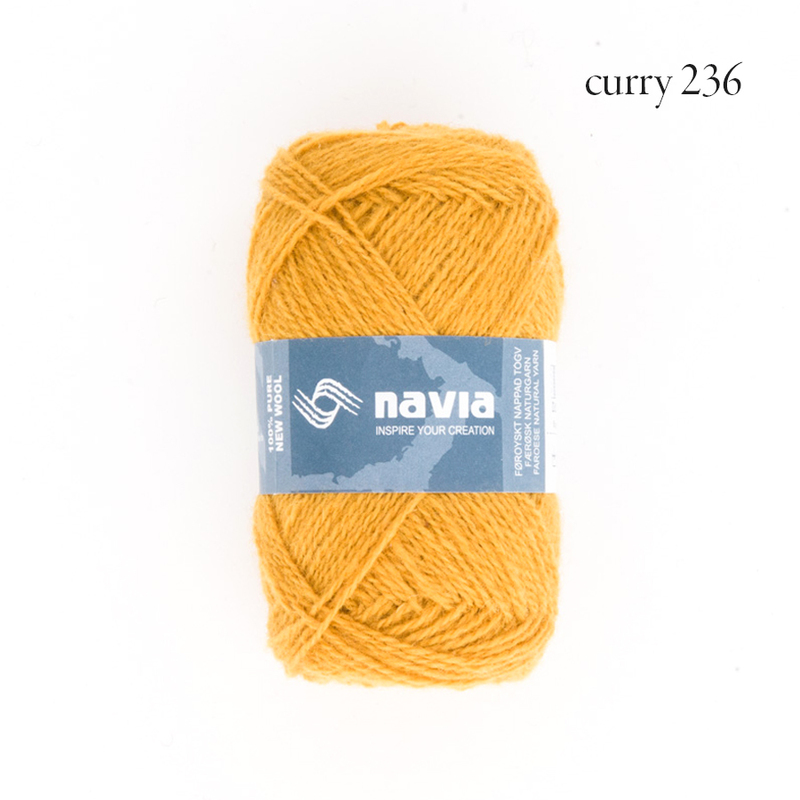 One of the frequent conversations we have in the office concerns the ability and, perhaps more importantly, the motivation to knit well and how we can continue to become better knitters. I’ve never done a lot of colorwork knitting and as a result, I’ve been really insecure about being able to do it well and then showing my work to the public. Kate and Courtney have been incredibly patient and supportive while they clue me into good colorwork knitting techniques, such as showing me better ways to carry the second yarn or how to handle a third color in the same row or why it’s important to keep those floats tidy. 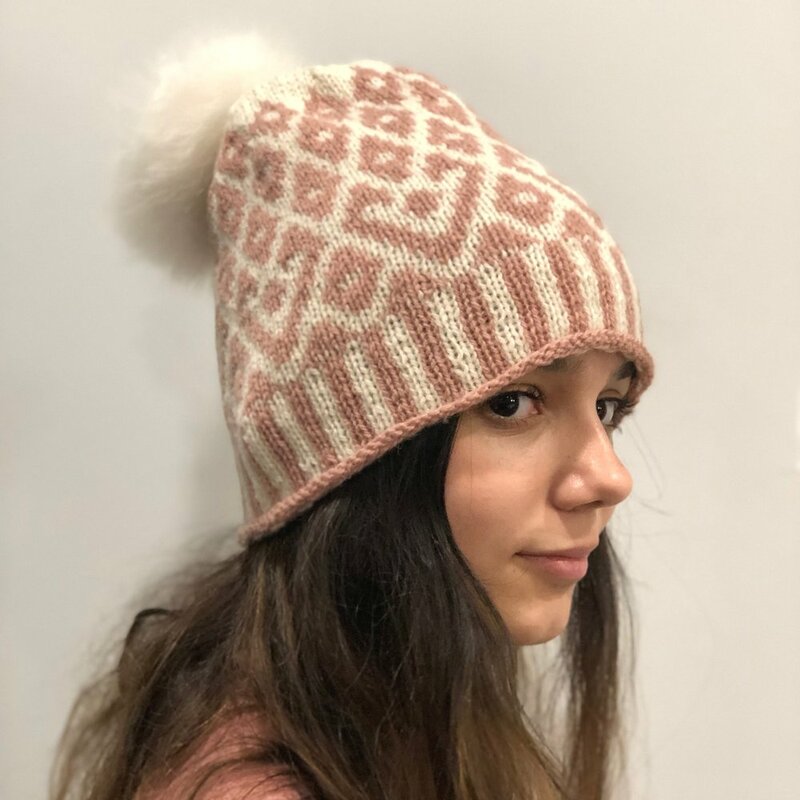 I decided to make the Wolfie hat by Natasja Hornby in Navia Duo. It went swimmingly! 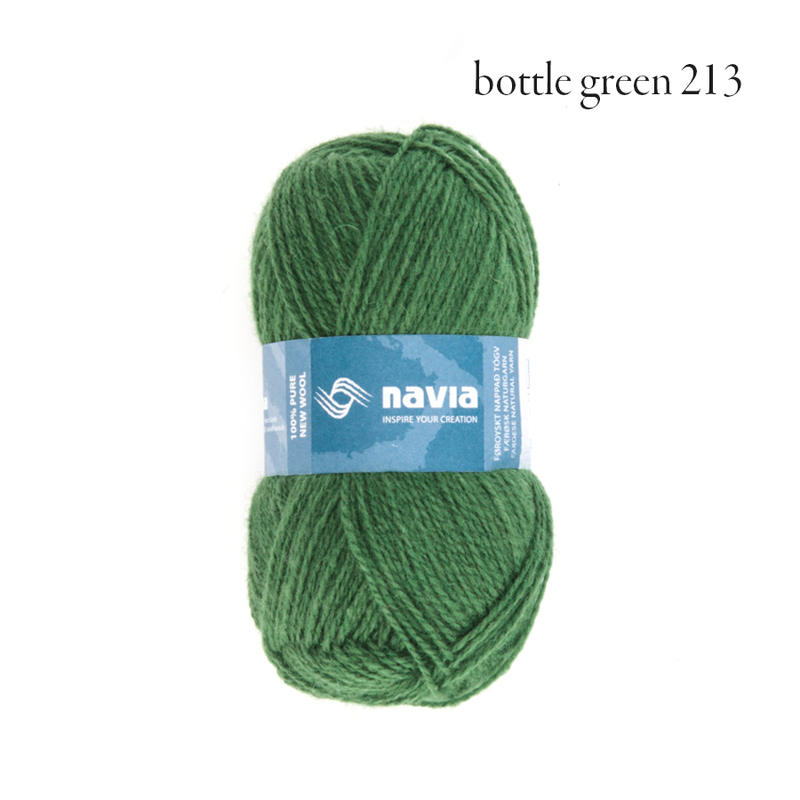 In fact, the first hat just flew off the needles, so I immediately made a second version also in Navia Duo. These two hats came out so nicely that shortly after their completion, I jumped right into my first colorwork yoked sweater. Details on that sweater to come later! Lastly, if you are wondering, I found the 100% alpaca fluff pompoms at Slip Knot in Newtown Square, PA.
Did you hear that? That was the sound of the last three weeks flying by! We’re still excitedly plugging away at the knit along, though, and wanted to share our progress with you. Real talk, you guys. Between illnesses that never seemed to end, deadline knitting that I just shipped off, and a super secret gift I’ve been working on, I haven’t had a lot of time for my knitalong sweater! I did, though, manage to knit two swatches while sick in bed a week or so ago. One was useful in that it was to check gauge and to experiment with washing the swatch in my machine, and the other was useful in that it showed me a color option that very much did not work. I absolutely love the hand of the fabric once it was washed, but my stockinette gauge is too loose (14 stitches to 4” as opposed to the recommended 15”) on US 9 needles, so for my next swatch I’m going to see what happens on US 8 needles. As I mentioned in the last post, despite black being one of my favorite colors, I wasn’t sold on my original choice. I then went with the below option, thinking the four colors looked great together - which they do! 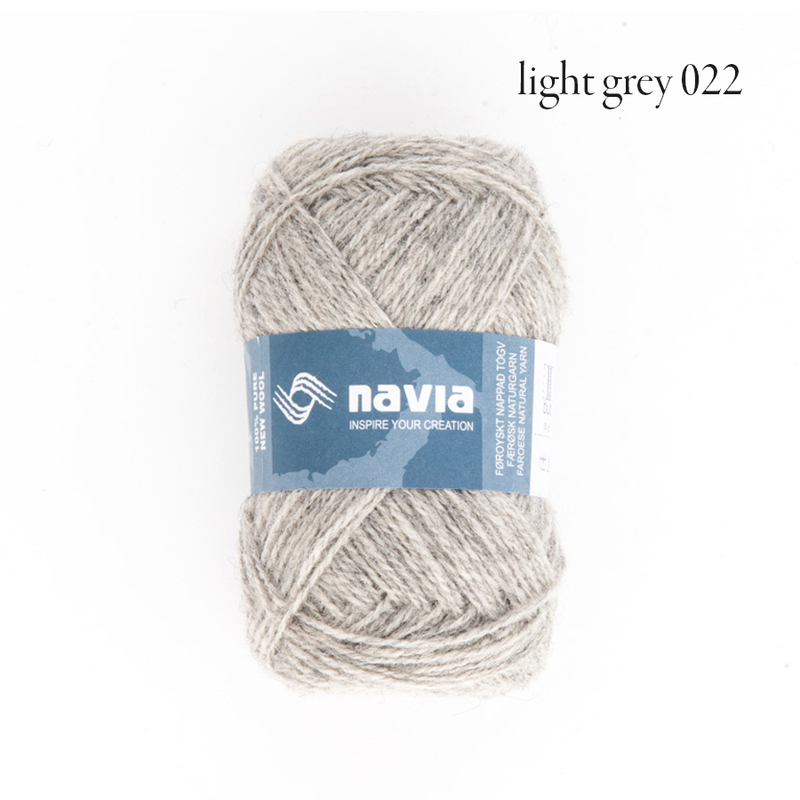 - but, as you can see in my swatch, the light brown and mid grey just do not work well together in the stranded colorwork pattern. So now, I’m going to try a third option, going back to my original colors, but switching up the order a bit. I’m leaning towards the all natural (which will put the green as a contrast only used in the yoke), but I’ve been so determined to make it work in the body and hems that I want to try some alternate options with the green as well. Decisions, decisions! Crossing fingers once I get through these last few swatches, I’ll finally settle on a color combo and can actually start knitting soon! I am loving knitting this sweater. I had been convinced all these years that I “just can’t do colorwork” and was super frustrated every time I tried and made something that ended up too tight to wear. 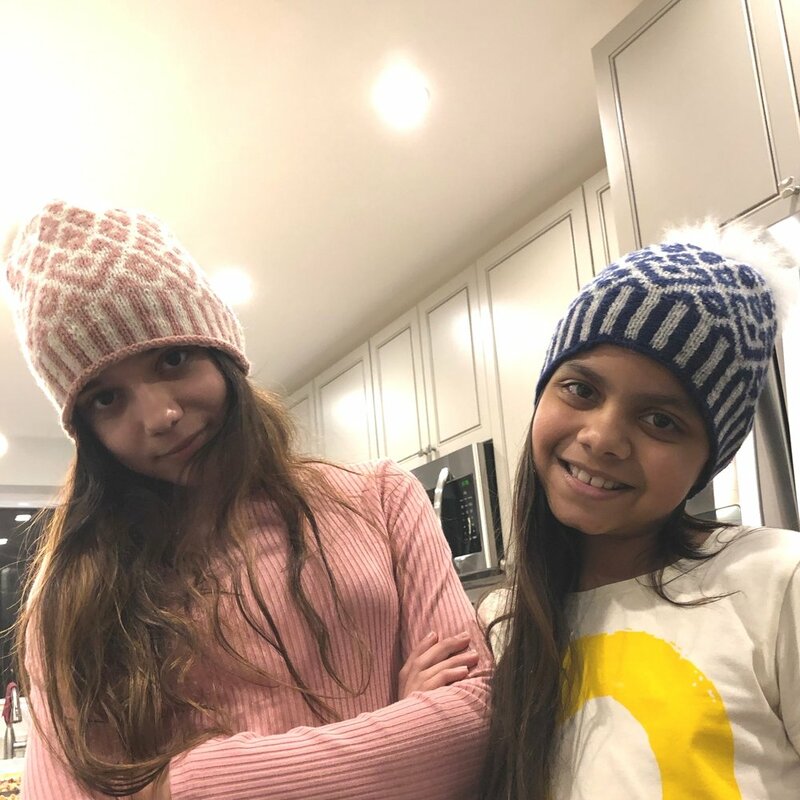 However, with the encouragement of Kate and Courtney, I sat down and knit not one, but two stranded colorwork hats using Navia Duo (which I LOVE) and they came out great. So I decided to leap right into a traditional Faroese stranded yoke sweater which uses 3 colors in a row in some places! I am really pleased with my sweater so far and a few days ago I moved into the single color portion of the body. Using size 9 needles, this part of the sweater is practically knitting itself. I even went to see White Christmas in the theater last night and knit the whole time! At this rate, I’ll be at the yoke in no time. This has been my sweater for when I just can’t knit on my deadline sweater anymore. I am a two-timing knitter, it is true. 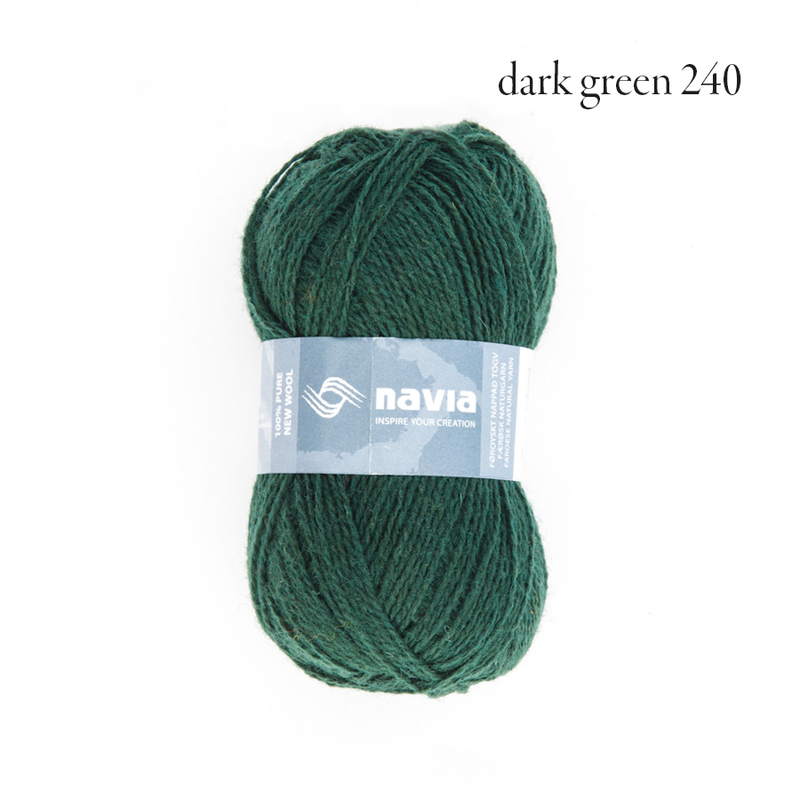 But, I am super happy with my Christmas-y color choices and am still absolutely convinced that I will be knitting the yoke during our family’s Christmas Eve festivities (the dreaded deadline sweater is due on December 19). I am using a size 9 needle for the body, and I machine washed my swatch, which is how I plan to treat my finished garment as well. You may notice on all of our sweaters that the knitting looks a bit loose and not at all how we are used to seeing a “good” knit fabric look. 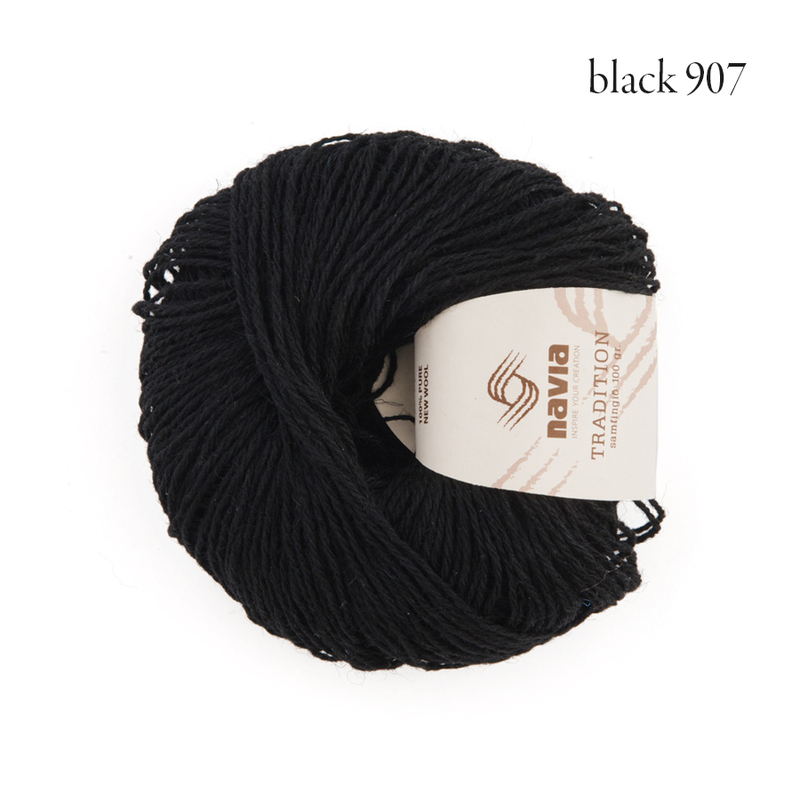 That is just the nature of this Faroese yarn! 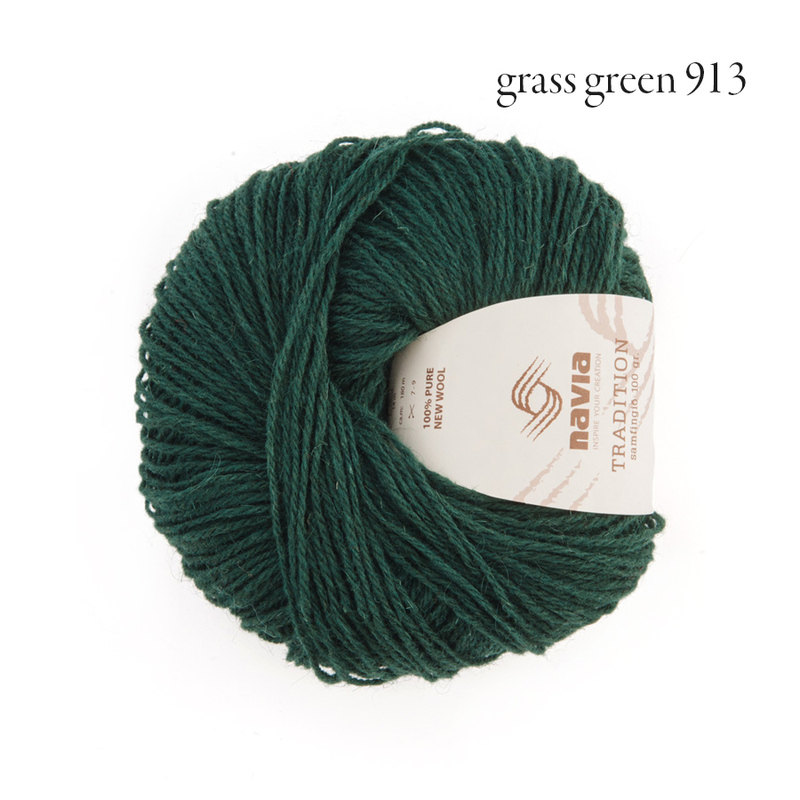 Tradition is meant to be knit a bit on the loose end, and once washed it blooms delightfully! 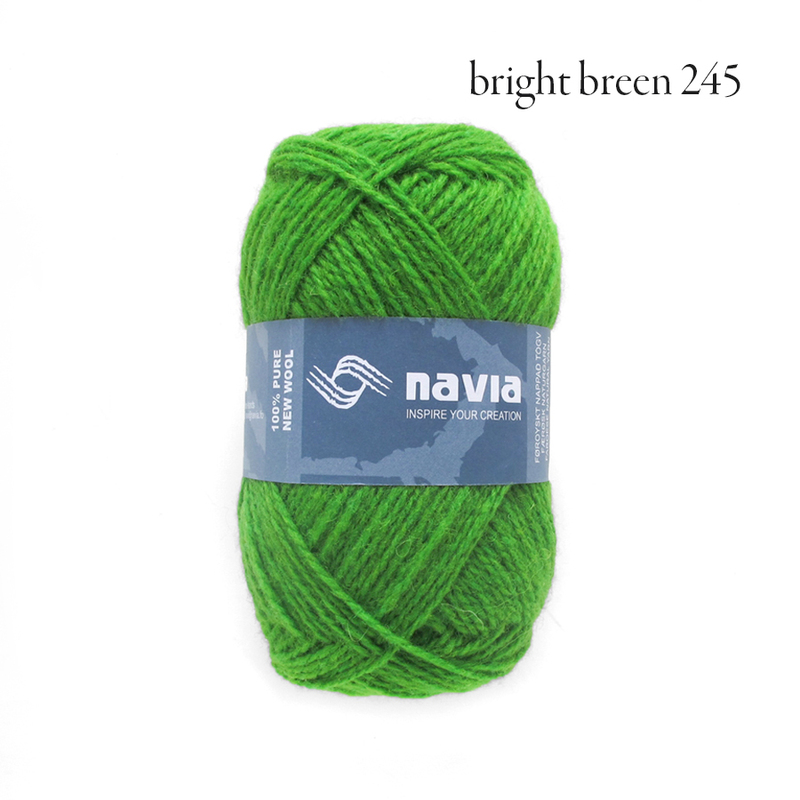 According to Navia, most Faroese knitters machine wash their sweaters on the wool cycle, which allows for even more bloom. I think it works like a charm, and I’m not sad at all to let my front-loader do my work for me. And that’s it! Hopefully next update Kate will actually be knitting her sweater and Meghan and Courtney will be done with their bodies and well into the sleeves.